D&D Toys and Collectibles Episode 300: Episode 300! How and When to watch D&D Toys and Collectibles Episode 300! We are just over a week away from Episode 300! Click in for the details! D&D Toys and Collectibles Episode 299: We spin our wheels to episode 300! D&D Toys and Collectibles Episode 298: Avengers 4 Spoilers? Really? D&D Toys and Collectibles Episode 297: Welcome to 2018! D&D Toys and Collectibles Episode 296: Happy After Holidays! Dave Draper’s Toy Collection Walk-through 2017 Part 1! 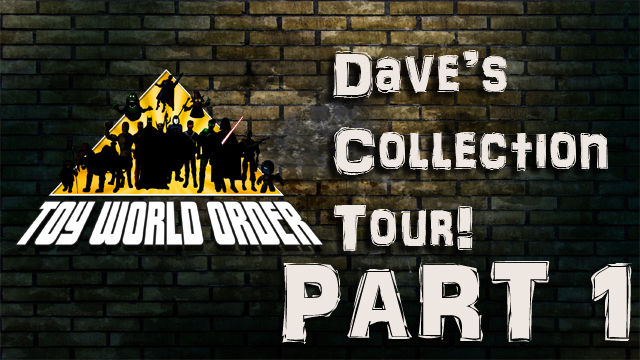 Devall and Dave bring you part one of their Christmas treat to all the fans as after MANY years of asking, they give you a personal tour of Dave’s Toy Collection! So come and check out Part 1 NOW! D&D Toys and Collectibles Episode 295: More of the Star Wars, and toy stuff! YAY! D&D Toys and Collectibles Episode 293: Star Wars The Last Jedi and Disney buys Fox!